The Centers of Disease Control (CDC) is on the front lines to defend the U.S. from a possible Ebola epidemic but serious questions remain about the competency of the organization. CDC Director Dr. Tom Frieden insists that travel bans would make the epidemic worse but his scientific judgement seems to be clouded by politics. Despite Frieden’s belief about travel restrictions, the first U.S. case of Ebola was from a man from Liberia who developed symptoms after he arrived in Dallas, Texas. Obviously, travel restrictions from Ebola ravaged countries in West Africa would reduce the chances of more cases of the virus. Such a policy is far from extreme, in fact, travel bans and restrictions have been adopted by some African countries and several airlines. That’s right, the CDC, whose business is to handle the most dangerous bacterial and viral agents has, on multiple occasions, made mistakes with pathogens including anthrax and the flu virus. It’s crucial for the public to recognize the CDC’s previous problems as we examine its policies to deal with Ebola and other infectious agents including possible bioterrorism. 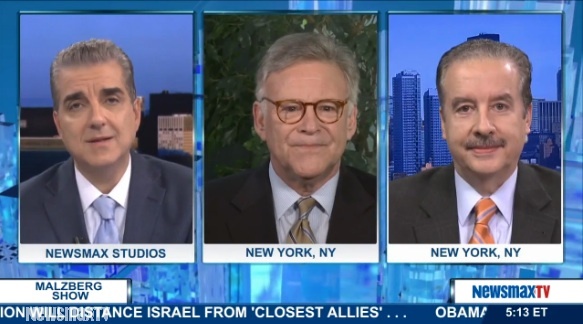 I had an opportunity to debate this topic on The Steve Malzberg Show on Newsmax TV. Despite the scaremongering and whining from the Left, the inability for the Centers for Disease Control (CDC) to deal with Ebola has nothing to do with money. A progressive organization is out with a new issue ad blaming congressional Republicans for the Ebola outbreak. In the disgusting minute-long ad, titled "Republican Cuts Kill," the Agenda Project Action Fund uses clips of Republicans, including Senate Minority Leader Mitch McConnell (R-KY) and Sen. Pat Roberts (R-KY), urging more spending cuts to the federal budget. It also features footage of Obama administration officials discussing budget cuts and the National Institutes of Health (NIH) and the Centers for Disease Control's (CDC) purported inability to deal with viral outbreaks. "As Ebola and other emerging diseases continue to dominate our headlines, the Centers for Disease Control and Prevention is expected to be America&apos;s front line of defense against the outbreak of a devastating epidemic. However, the agency has stumbled, and an examination of its activities reveal an institution often more focused upon advancing progressive social priorities and nanny-state interventions than simply performing well at its one intended job." As Ebola and other emerging diseases continue to dominate our headlines, the Centers for Disease Control and Prevention is expected to be America's front line of defense against the outbreak of a devastating epidemic. However, the agency has stumbled, and an examination of its activities reveal an institution often more focused upon advancing progressive social priorities and nanny-state interventions than simply performing well at its one intended job. Read the Full Issue Analysis Here!